Every year, Apple holds a big press event at its conference for developers and tells the world about its future plans for the iPhone, iPad, and Mac. 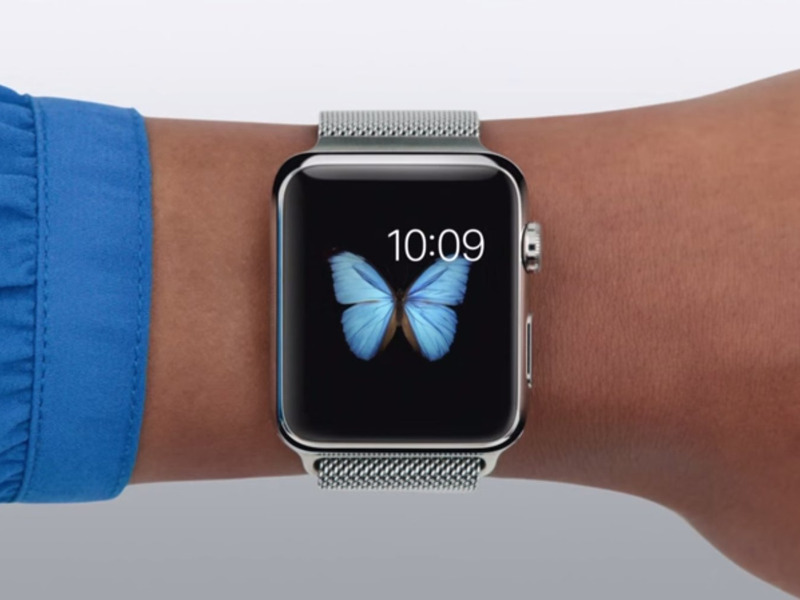 Now, there’s a new addition to that lineup: the Apple Watch. 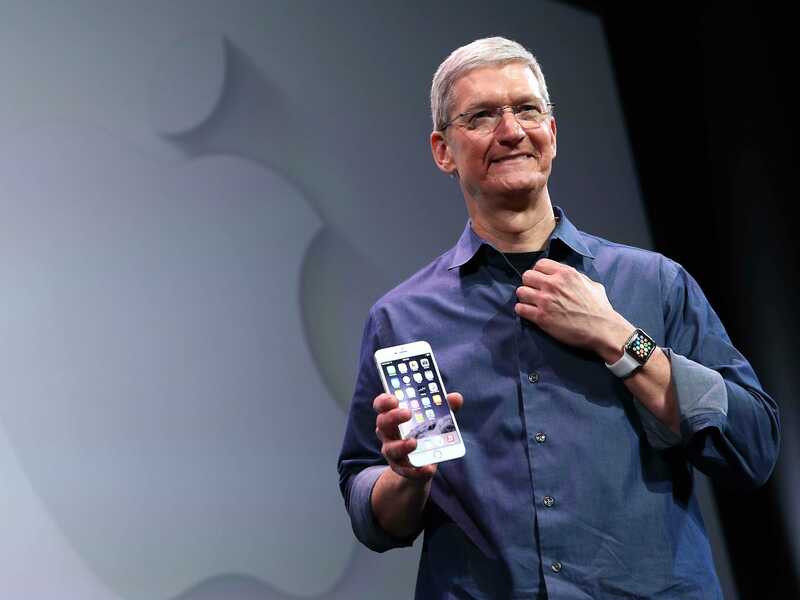 Apple doesn’t usually talk about its plans or future products until it’s ready to unveil them to the world. But the company wants us to know that big improvements for the Apple Watch are coming. “Third party apps will get much better,” Jeff Williams, Apple’s senior vice president of operations, said at a conference last month. This is one of many announcements Apple is expected to make on Monday that tell us about the company’s direction for the year. This is among the biggest announcements we are expecting to see. For months, reports have suggested Apple will debut its own streaming music service that sounds a lot like Spotify. 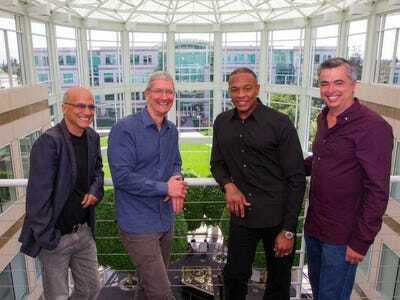 It will probably cost $US10 per month, according to The Wall Street Journal, and Apple has been said to be in talks with various artists and record labels to beef up the music selection. The service, which is said to be called Apple Music according to Bloomberg, will be powered by Beats Music, which Apple acquired last year. There will also be an Android version of the app, which is a first for the company. It’s an important move for Apple if it wants to re-establish the dominance it asserted over the music industry when it introduced the iTunes Music Store in 2003. Now, streaming is becoming more prominent than downloads, and Apple needs to catch up. Analysts don’t expect the music service to add too much to Apple’s revenue though — hardware is Apple’s biggest moneymaker. If Apple’s streaming service attracted as many subscribers as Spotify (15 million), it would only add less than 1% to revenue in 2016, assuming Apple charges a $US10 monthly subscription fee to each subscriber, the analysts at Piper Jaffray report. 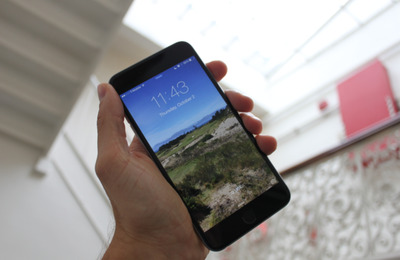 Apple will also show us the new features we’ll see on iPhones and iPads with its next software update, iOS 9. It probably won’t be a big aesthetic change like the last update, iOS 8. Instead, Apple is said to be focusing on stability and security. In particular, Apple is reportedly making an effort to ensure older iPhones and iPads will be able to run the software smoothly, unlike previous versions of the software which usually ran slowly on gadgets from years past. Apple is said to be making big improvements to Siri, too. The new Siri will look more like the version that appears on the Apple Watch, and it will be able to communicate with other Apple apps such as Passbook, Calendar, and Spotlight search, as 9to5Mac’s Mark Gurman writes. It sounds like a much needed answer to Google Now. There’s talk of Apple Maps getting some enhancements too, including public transit directions. Apple will also add a new split screen interface for the iPad, according to the report, which means you’d be able to run one app alongside another. It’s a feature that other tablets, such as those made by Samsung, have had for a while. And, most importantly, it would add some new functionality for the iPad, especially when it comes to productivity and multitasking. This is especially important because iPad sales have been in a slump. Apple will probably give us a preview of what it’s next update for the Mac will be like as well. Similar to iOS, we probably won’t see too many flashy new features. Instead, Apple will likely focus on two things: stability and performance, and making it even easier for your Mac to communicate with all of your other Apple devices. The new Mac operating system is supposedly codenamed Gala, although it’s unclear whether or not that will be its official name. The last couple versions have been named after landmarks in California, and Apple has trademarked several of those, including OS X Mojave, Sequoia, Sonoma, and Ventura. As mentioned above, it sounds like Apple is putting a big focus on improving apps for the Apple Watch. Specifically, the company is expected to announce that developers will be able to incorporate the watch’s native code into their apps. This means that apps will be able to take advantage of the sensors inside the watch instead of just relaying information from your phone. So an app like Shazam, for example, would be able to access the microphone to listen for music. 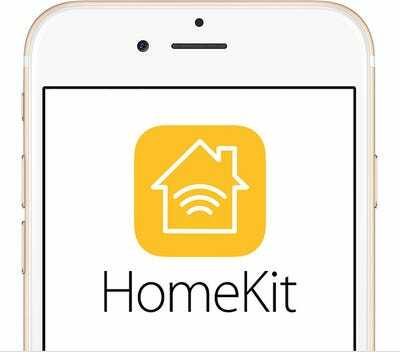 AppleApple’s HomeKit app will be used to pair your connected devices to your iOS device. We’ll probably hear more about HomeKit too — the platform for smart home connected products Apple announced last year. The first products that are compatible with HomeKit just went on sale this month, so we’re likely to hear more about them. In particular, Apple is likely to talk about the new Home app we’ll probably see in iOS 9. This is the app that actually lets you control all of your HomeKit-certified products. From the app, you’ll probably be able to easily pair them, group them together by room so you can control multiple devices at once, and more. Currently, you have to download separate apps for each accessory. For months, reports have suggested that Apple is readying its own streaming TV service that would offer access various types of video content, including local channels, for between $US30-$US40 per month. Initially, the rumour mill said Apple would unveil this service at WWDC, but Apple could delay the launch because it still has to finalise licensing deals. 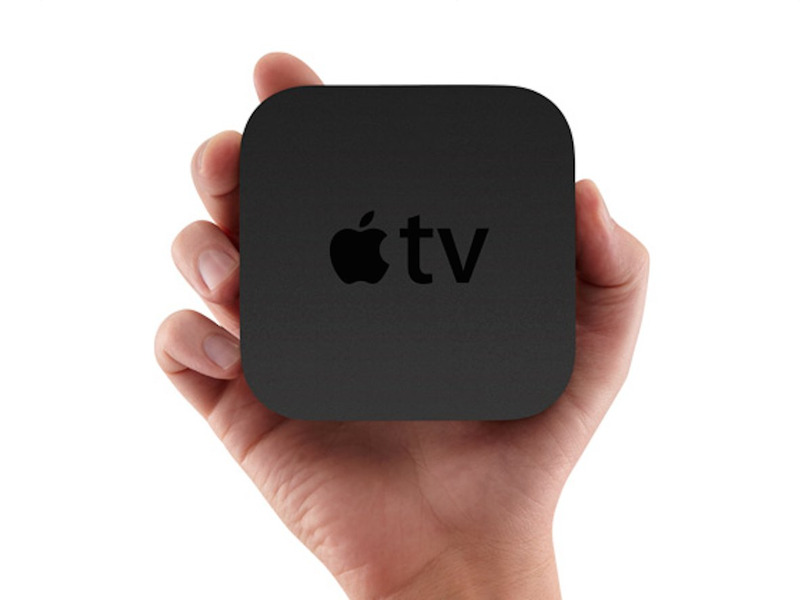 It sounds like there won’t be a new Apple TV either — Apple was expected to announce a new version of its set-top box, but The New York Times recently reported that those plans have been postponed. However, some analysts think Apple will unveil a new set top box at the event, in addition to an improved remote control for the box and an app store dedicated solely to Apple TV. This could potentially include games that are tailored to larger screens like televisions.